Do you have photos, historical accounts or other items pertaining to the Suomi area? Would you like to share this historical information with the world? ItascaWeb would like to publish your Suomi photos or historical accounts on this website. Original materials can be returned and your privacy will be respected. 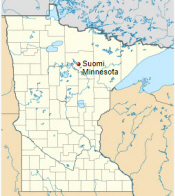 Suomi is an unincorporated community in Itasca County, Minnesota, in Deer Lake Unorganized territory.. 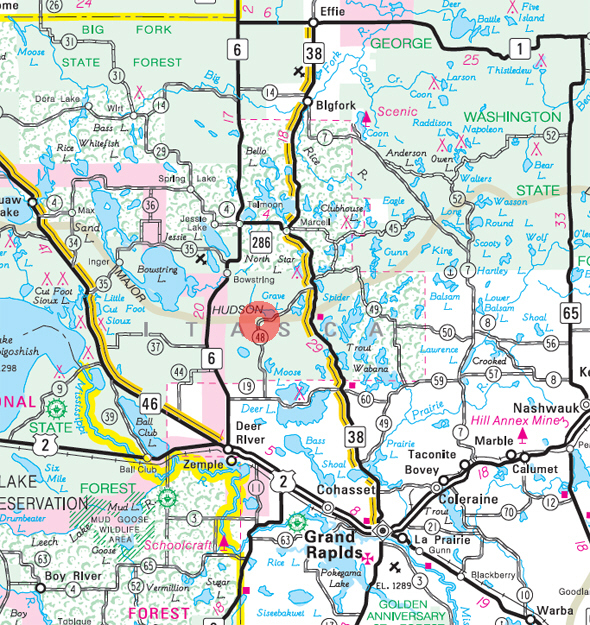 The community is located northeast of Deer River; along Itasca County Road 48 (CR 48). Nearby places include Marcell, Deer River, and Cohasset. 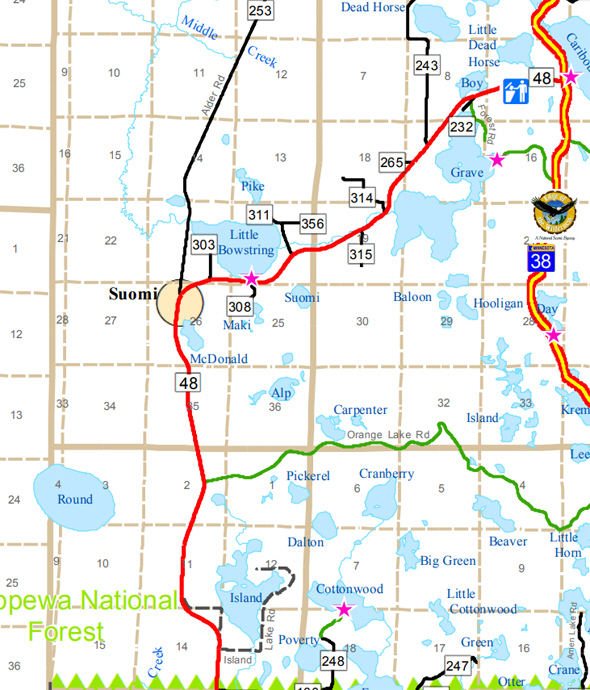 State Highways 6 (MN 6) and 38 (MN 38); and County Road 19 are also nearby. The center of Suomi is generally considered at the junction of Itasca County Roads 48 and 253. Little Bowstring Lake and the Bowstring River are in the vicinity. Suomi is located 13 miles northeast of Deer River; and 27 miles northwest of Grand Rapids. Suomi is 12 miles south of Marcell. The community is located within the Bowstring State Forest and the Chippewa National Forest. Suomi Hills Recreation Area on State Highway 38 is also nearby. Suomi means Finland, and it was a Finnish land agent, Mr. Havela from Duluth, who interested people to settle in this area around Little Bowstring Lake beginning in 1916. Because the people who settled here were almost all Finnish and the area reminded them of Finland, they called the community Suomi. The townships that make up Suomi were originally surveyed around 1870. The first homestead dates back to 1873, with most early homesteaders being more interested in the timber than in settling the land. However, seven homestead claims were proven from 1875 to 1913, including Jeremiah Miller, George Russell, Richard Boan, Robert J. Clark, Saul Estes, Charles Murphy and Orlando Walker. Other early settlers were Robert O'Connor, the Willis, the Dells, the Lindens, the Quiggs, amend the Morrisettes. In 1898 the Itasca Railroad, later called the Minneapolis & Rainy River railroad or "Gut & Liver", was built as far as Bowstring Hill and extended to Smith Lake. After the timber was cut in this area, the railroad was pulled up in 1904 and rerouted north to Jessie Junction, later called Alder. There was a small station at the south end of the Little Bowstring Lake called Elbow. It was a little shack that was used as a railroad station for the freight trains with a passenger car or two. Trains were an important mode of transportation in the Deer River area. Here is an Itasca Railroad engine getting ready to go to Suomi. The first of the Finnish arrivals in 1916 were Otto Salo, Edwin Juntunen, Edward Heikkinen, Oscar Maki and Richard Wierimaa. Other names of these pioneers are Kela, Kolu, Maki, Mattson, Huju, Filpus, Anttila, Koivulas, Rikalas, Saari, Jack Maki, Wuorio, Makila, Hokkanen, Forsman, Kokko, Wehvilainen, Ranta, Tanninen, Aho, and Rutanen. Most were immigrants to the United States. In 1967, at the time Suomi's 50th anniversary, Minnie Juntunen described her journey with a small daughter from Alexandria to Suomi in 1917. At Suomi she joined her husband, and she described her feelings as she sat on the hill where they would build their home. "I sat on the pile of hewn logs and looked around me. Our cow was chewing her cud, the chickens were cackling, and the roosters crowing. How homelike it already felt!" Edwin said, `Now we are here in the wilderness, only we three far from any other people.' I won't deny we had tears in our eyes, but then we remembered our dream of someday claiming some homestead property and owning our own home. Our dreams had been fulfilled." Their second daughter, Mildred, was the first baby born in that community. Mildred and her husband, Peter Hanson, still live in Suomi. Ailie Maki Mackley's story is typical of the immigrant families. She was eight years old when she came to Minnesota from Finland, first to Hibbing and then to the Suomi community. Her father had arrived in Hibbing four years earlier and then sent for his family. It was 1917, the beginning of World War I, and ships were being sunk by mines. Aili remembers how scared everybody was on that long ship journey across the ocean. There was a one-week wait at Ellis Island before she, her mother, and siblings made the journey to Minnesota and joined her father and other relatives already living in Hibbing. Her father purchased land in the Suomi community and quickly built a log house. He returned to work in the mines, but it was during this time that, due to labor issues, Finns were blacklisted from the mines, so he returned to Suomi to farm amend also do some logging. There were no cars and the M&R train was the only transportation — said it took three days for the cattle to reach here, said Ailie. My brother and cousin rode along in the boxcar and milked and fed the cows. The M&R train was the main mode of transportation in the early days. If a person had business in Deer River, they had to stay overnight and return on the train the following day. These pioneers carried large loads to their homesteads. People also walked long distances and used the rivers and lakes. Residents from Big Bowstring Lake used to come by boat along the creek, row across Little Bowstring, and camp on the shore overnight before starting the walk to Deer River the next morning. For them, it was a two-day trip to town and another two day trip homeward. The Christies of Big Bowstring recall that when they first came to the area, they left their team of horses in Deer River until winter but brought their cow along with them in the boat across Little Bowstring Lake and down the creek to their property. Everything went smoothly until they tried to remove the cow, who became frantic and capsized the boat. The first automobile trip made to Suomi is believed to have been made in 1918, when the only road was the railroad grade. Waino Anttila and Emil Hokkanen were working together when they heard a commotion that Emil thought to be a chimney fire. It proved to be an old Model T Ford filled with men who had come to inspect the prospective school site. The driver of the car, Victor Wicklund of Jessie Lake, built the school. The first teacher of the Grave Lake School was Fanny Niemi. The pupils who attended the first term of school were Arthur and May Wierimaa. Rudolf and Jalr Kela, Reuben Heikkinen, Saimi, Ailie and Emil Maki, Inga, Ilma, Irja, Matt, and occasionally Iivo Saari. "In those early days, the children spoke Finnish and as soon as school started the kids started to teach Finn to the teacher," said Ailie Mackley. Finnish was the language on the playground though the teacher tried hard to make them speak English. Students walked to school. Some walked home for lunch, and others brought their lunches. Originally Suomi was in District #5, but later they organized their own District #13, electing their own school board. In 1933 it became a part of the Grand Rapids school district. Miriam Payne recalls her high school days rooming with two others in one room in Grand Rapids. After coming ho for weekends, they returned to their small rooms with a week's supply of food. There was a "stinky little kerosene burner- where they were able to cook potatoes, she said. Later students attended the Deer River School and stayed at the dormitory. Many of these determined young women attended college in Bemidji and became teachers. Corrine Wehvilainen was the last teacher when the Grave Lake School was closed in 1949. By 1950, students rode the bus to school in Deer River. The Suomi Evangelical Lutheran Church was organized on July 13, 1918, at the Heikkinen home. During the influenza epidemic of 1918, Jaffet Heikkinen and his two sons, John and Emil, died within the space of nine days. They were buried on the farm but transferred to the cemetery when it was begun in 1920. The first confirmation class was Saimi Maki, Ilma and Inga Saari. The first Suomi bride was Ida Heikkinen, who married Otto Salo. The first wedding dance was held at the Grave Lake School after the home wedding of Impi Saari. 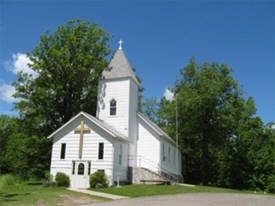 The Suomi church building was completed in 1940, and the first wedding was of Mildred Juntunen and Perry Hanson. The Suomi post office was established in 1921, and Mrs. Urho Rikala was appointed postmistress. The postal authorities had protested using the name "Suomi," and the name did lead to considerable confusion. According to Gust Saari, Sr., who was later postmaster, mail, which was really destined for the country of Finland, was sent there from everywhere in the United States, even from Asia and Africa. When the M&R Railroad ceased operations, the mail was brought to Marcell by Homer Helm and picked up by the Suomi postmaster from Marcell. In 1938, Deer River Route 1 was established and Milton Wolfe began driving directly through Suomi, delivering mail to individual mailboxes. Until 1929 when telephone lines were extended to Suomi, people walked to McVeigh's Landing, which had the nearest telephone when emergencies occurred. Ailie Mackley describes those telephone party lines: "It was almost like TV. Everybody knew what the rings were for each family and some families were more talkative, so people knew when to listen in." A Suomi Co-op Telephone Association was organized and began operating in 1948. In June, 1962, dial telephone service came to Suomi. After World War II, the REA began extending electric service to rural communities, and Suomi received electric power in 1946. At various times the community had a Suomi Purchasing Co-op, a Suomi Workers' Club, a temperance movement, and a Suomi chapter of the Minnesota Finnish-American Historical Society. The settlers engaged chiefly in dairy farming and also did some logging. They had a few cows, sold cream to town creameries, and raised gardens for their own use. Rikalas had a store where staples could be purchased. Cream was transported to creameries by the M&R and later was picked up by truck. These Finns were active in establishing the Deer River Farmer's Co-operative Exchange, which also had a creamery. The Co-op truck drivers not only picked up cream on a regular basis but also took their orders for groceries, hardware, and whatever else was needed, including liquor and baby diapers at times. The drivers then delivered these supplies the next time cream was picked up. Ailie Mackley doesn't remember ever going to a doctor when she was a child. Doctors struggled through the roads in case of emergencies. Mrs. Jaffet Heikkinen and Mrs. Matt Lekander were midwives and delivered many babies. Neighbors visited each other a lot. Those were the days people just dropped in. "Our home was just a regular hotel," said Miriam. The community had dances, basket socials, and played games. There was the Summer Festival (Juhannus) at the church, New Year's Eve when they melted and poured lead and told fortunes, Luther League, and Christmas programs at school. There were fishing, hunting and picnics. For many Finns, Saturday night was a time for socializing as visitors came for sauna and coffee. Ailie Mackley described the first saunas with stoves made of rocks. There was no chimney, and the walls and everything got smoky. You got dirty again if you touched the walls. Later saunas were built with chimneys and the soot was no longer a problem. Miriam Payne remembers people thinking it was so strange when she would tell them of friends coming over for a bath! Miriam Hokkanen Payne grew up in a family of girls and had to do all types of work. Chores included carrying in wood, cleaning out ashes, and pitching hay and manure. "We had to take the cows to the different pastures," she said. "In the morning our mother would wake us up, hand us half an orange and away we'd go and get the cows. We'd milk by hand. And we used to sing. I always remember being on the hay load, with horses, of course, and dad would be singing and my twin and I used to sing. Mother always sang when she worked." The Hokkanens had a pump organ and the teachers who boarded at the Hokkanens gave music lessons. There were lots of books and — they loved reading. There are approximately eight lakes in area. Emil Hokkanens had a resort on Grave Lake, and Waimeno Anttila had one on Little Bowstring. For many years, the Poenix farm and resort (originally the Anttila farm) served as the site of an annual field trip for grade school students who came to see the buffalo. The big barn is gone, the resort remains, and Bob Poenix continues to raise a few of these animals that can be seen grazing. Little Bowstring and Grave Lakes are dotted with homes. Former residents who left to make their way in the world have retired and have returned to the hills of Suomi country. The dairy farming in Suomi was finished when Oliver Juntunen changed to raising beef cattle. Like his father before him, Oliver will be passing farm place down to his son Dale and will move into a new home on the shore of Grave Lake. In the pioneer days, there were few non-Finns Iiving in Suomi. Now this community, like all others, is a melting pot of nationalities. There are not many that speak Finnish anymore, but some speak English with a hint of Finnish. "Suomi is unique because it is the only place in the county where no one has an accent", joked Oliver Juntunen. That first generation of Finns who made their homes in Suomi has passed on, but one can look at the hills, trees, and lakes and understand why they chose this spot for their home. 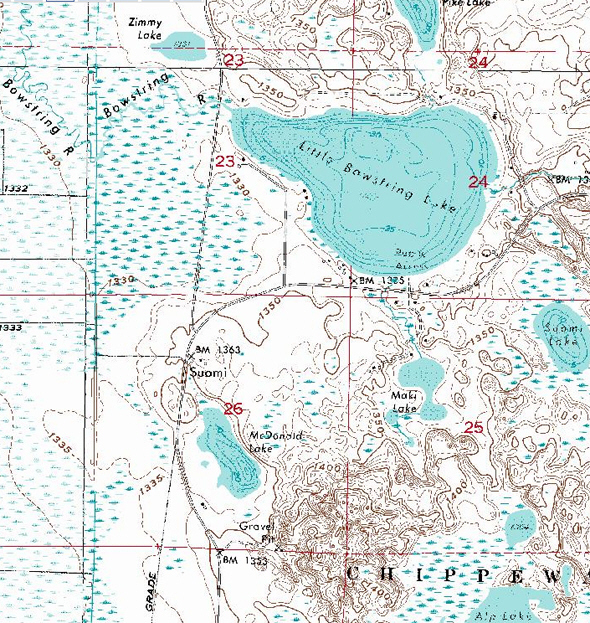 The very last area in Itasca County to be settled was the Suomi district around Grave Lake and Little Bowstring Lake. Few, if any, settled there before 1916. Most of the present Suomi farmers bought their land about then from the Pellervo Land Company of Duluth, a company organized in 1914 by Mr. Antero Havela and Mr. John Asiala. The company at the time were simply land agents. Later they went into logging and banking. They had procured the rights to sell the lands of the Itasca Lumber Company. Both men were Finnish, could not speak English fluently, and consequently advertised in Finnish newspapers and attracted the Finnish people who now live there. People today look upon Mr. Havela as the founder of the Suomi community. He was robust and good-natured and knew how to sell the land. He was instrumental in bringing first preacher to Suomi and in getting the Suomi church started. Among the first settlers who came here 1916 were Otto Salo, Edwin Juntenen, Japhet Heikkinen, Edward Heikkinen, Oscar Maki, Nestor and Richard Wierimaa. Salo and Juntenen and the two Heikkinens logged on the west side of Bowstring lake during that first winter of 1916-17. They lived a way east of the lake in a little log cabin on the Heikkinen's farm; Heikkinen's oldest daughter Annie did the cooking for them. In the summer of 1917 the Heikkinens built the the house that is still the home of Rueben Heikkinen and his family. Juntenen and Maki also built their houses that summer. Their families moved in as soon as the homes were completed. When these people built their homes they had their difficulties. Lumber, for the roof, for the floors and windows and for door frames in the Heikkinen home, was carried on the men's shoulders the 2½ or three miles to the Heikkinen farm from the Suomi station just west of Grave Lake. That summer of 1917 two heavy cast iron kitchen stoves were pulled from the station to the homes on sleds. Others who moved into the area in 1917 were the Henry Kela, the Jalmer Kolu and the Oscar Haapamaki families as well as Edward Mattson and Nick Huju. The Filpus, the Koivulas, the Gust Saaris, the Jack Makis and Gust Wuorio moved in in 1918. The Anttilas came in 1919. The first child born in Suomi was Mildred Juntenen, now Mrs. Perry Hanson of Spruce Park. She was also the first child baptized at the Suomi church. In the next two or three years more and more settlers moved in. A few of them have moved to Marcell and Jesse Lake and even out of the state, but most of them have remained. Most of the Suomi land was cut-over land full of stumps and brush. The first job of the settlers was to clear brush and dig out stumps. Often crops were planted between the most ornery and biggest stumps. A lot of sweat and a lot of dynamite were needed to get those stumps out. Year by year more and more of the stumps were removed. Today the Suomi district has some of the finest farm land in Itasca County. The Finns at Suomi have been unusually cooperative within their group. They organized the Suomi Purchasing Coop in 1919 to buy necessary supplies in larger quantities at wholesale prices. 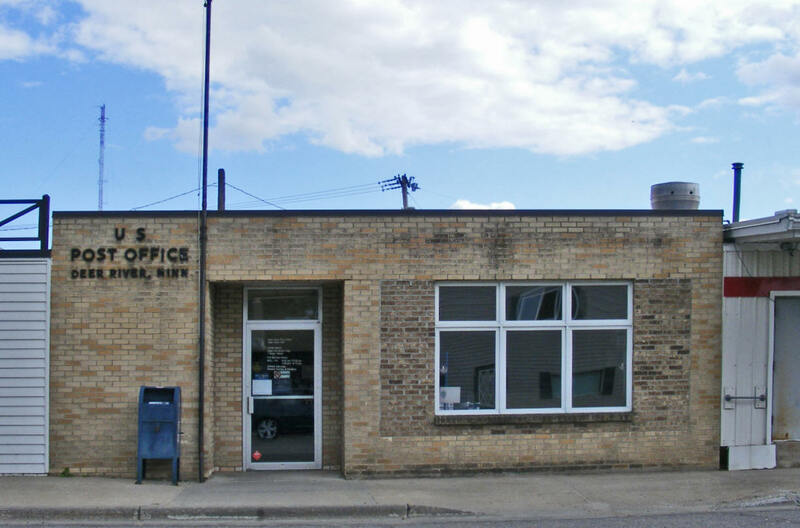 A few years later this cooperative became affiliated with the Deer River Farmers' Exchange and the Central Cooperative Exchange of Superior, Wisconsin. Post Office: Many years ago Suomi had a post office. 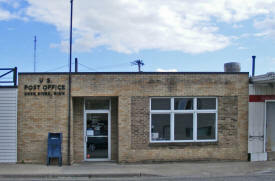 Today, the area is served by the Deer River Post Office. 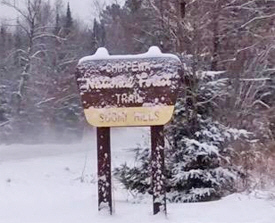 The Suomi Hills Recreation Area is named for the small Finnish community of Suomi, situated on the northern edge of the Suomi Recreation Area located near Grave Lake, Minnesota. area was logged from 1905 to 1910, with people settling in the area about 1916. Civilian Conservation Corps (CCC) camp, prisoner of war camp during World War II is located on the north end of Suomi Hills. Suomi Hills has 21 miles of trail, numerous small lakes and several primitive campsites for day or overnight hiking, biking, skiing and canoe trips. 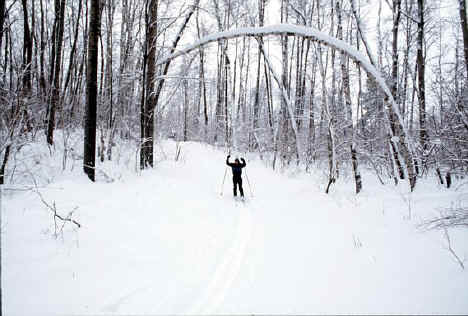 The rolling topography offers cross-country and mountain bike trails for intermediate and advanced skiers and bikers. groomed and track-set in the winter and mowed in the summer. basswoods and scattered pine form the landscape of the area. Several Lakes such as Adele, Spruce Island, Big Horn and Hill offer good bass and pan fishing. Brown trout can be caught in Lucky Lake and Rainbow Trout in Kremer Lake. Grave Lake School closed in 1949, since then, students have been bussed into Deer River. We are part of the Northeastern Synod of the Evangelical Lutheran Church in America. Jesse Lake has been providing a Word and Sacrament ministry since 1909 (Swedish Pilgrim Church—1909-1940 & Zion (Norwegian) Lutheran Church from 1917-1940) & Suomi (Finnish) was founded in 1918 to bear witness to the saving grace of Jesus Christ. Both congregations continue to extend God’s Word of hope and healing to the communities they serve.